During our Windows 7 rollout it was necessary to apply some specific registry settings to the new Windows 7 machines without affecting the legacy Windows XP clients. 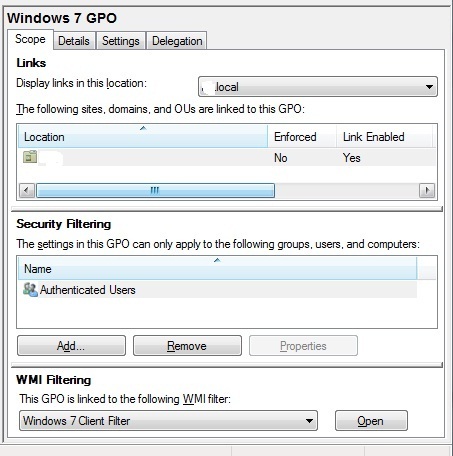 This can easily be done by creating a WMI filter in the Group Policy Management Console and applying it to the relevant GPO. 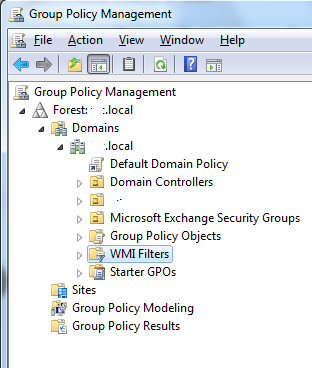 To do this simply fire up gpmc.msc and click on the ‘WMI Filters’ section under the domain you want to create the group policy object (GPO) in. 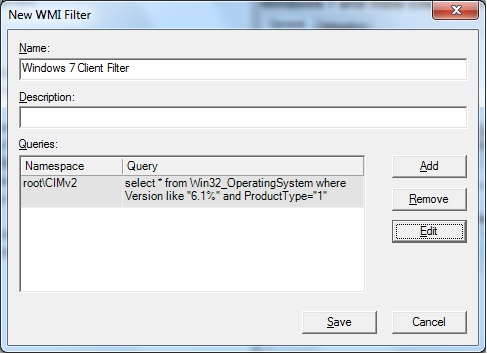 You can use the ‘ProductType’ part of the query to specify whether the operating system is a client, server, or domain controller.